Kristen Ess of The Beauty Department just wrote a great post for fighting dry skin in the winter. 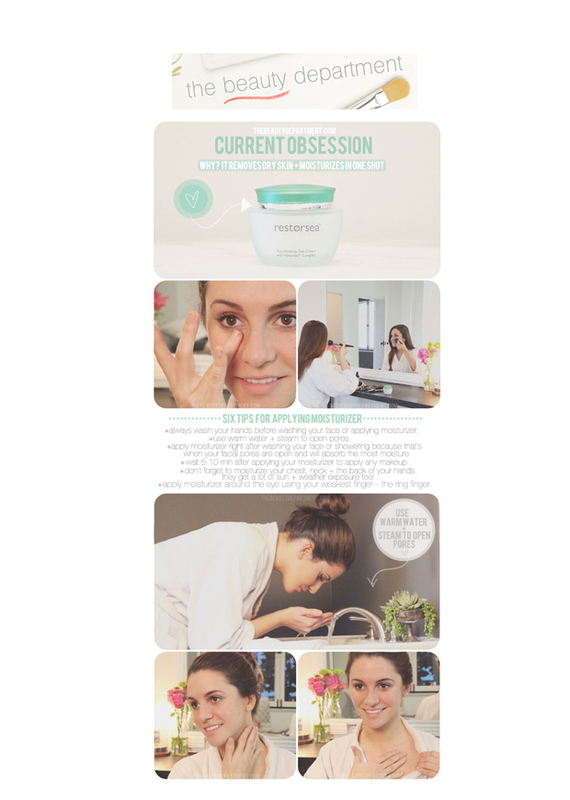 We love her skincare and makeup tips, and we're so happy our Rejuvenating Day Cream is her "new dream cream"! Here's what she had to say: "There are tons of products flooding the shelves that promise to moisturize or exfoliate that winter skin– [I] know because I’ve spent a fortune testing them out. Restorsea is the first product I’ve ever found to be effective in doing both at the same time."